Partners for Healthy Watersheds advocates for environmentally sustainable and economically feasible nutrient management solutions in local watersheds, by presenting practical solutions and educating consumers about best water quality management practices. Founded by organizations representing New York dairy farmers, the group looks to convene a cross-section of like-minded community residents, who base decisions and strategy on sound science. American Dairy Association North East – Proudly serves 12,000 local dairy farm families in New York, New Jersey, Pennsylvania, Delaware, Maryland and four counties in northern Virginia. The group works to build demand for milk and dairy products and enhances the image of the dairy industry on behalf of local dairy farmers. 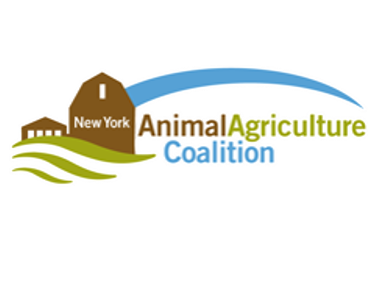 New York Animal Ag Coalition – Works to enhance the public’s understanding and appreciation of modern animal agriculture, in particular New York’s ever-evolving dairy farms. The group is a farmer founded and funded organization that strives to build consumer trust and public support for modern agricultural practices through consumer education, media engagement and industry cooperation. Cayuga County Farm Bureau – A non-governmental, volunteer organization that seeks to solve the economic and public policy issues challenging agriculture. Northeast Dairy Producers Association, Inc. – An organization of dairy producers and industry partners committed to an economically viable, consumer-conscious dairy industry dedicated to the care and well-being of our communities, our environment, our employees and our cows.